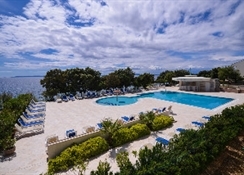 The beach hotel has 96 spacious rooms overlooking the Adriatic or scented Mediterranean parkland. There are two excellent restaurants providing fine wine and dining on spectacular sea-view terraces, as well as a bar. 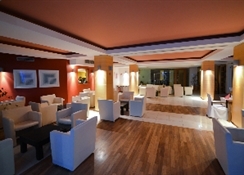 The hotel is air-conditioned and guests are welcomed in a lobby with a 24-hour reception service. 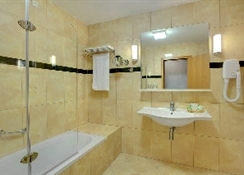 Facilities include a hotel safe, currency exchange and lift access to the upper floors. Younger guests can let off steam in the kids' club. Conference facilities are available to business travellers and WLAN Internet access is also provided. Guests arriving by car may park their vehicle in the hotel's car park.